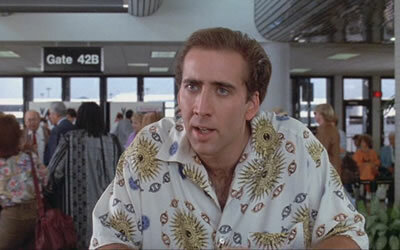 HONEYMOON IN VEGAS—-Nicholas Cage is the main reason to watch this slight, silly, boy-loses-girl comedy. We know the hero is going to reclaim his sweetie (lost in card game! ); the only question is how much satiric humiliation will he have to endure in order to do so. Cage excels at looking and sounding put-upon, and of course he has a proven flair for blowing his top. Sarah Jessica Parker is fetching, as are some Kauai, Hawaii locations. 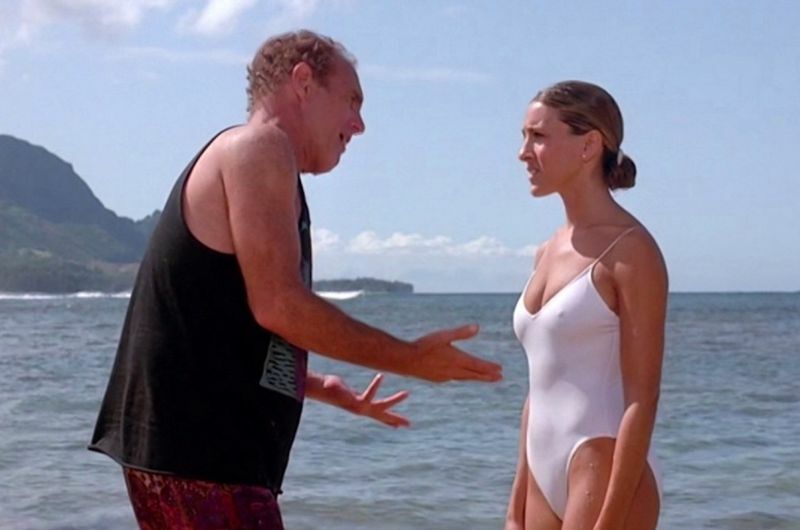 James Caan does shtick as Nick’s competition. Pat Morita, Peter Boyle and Anne Bancroft have mirthless throwaway gigs. Aside from Cage, the other fun thing about this 1992 outing is the presence of a convention-load of Elvis impersonators, led by goofus Burt Gilliam (‘Lyle’ from Blazing Saddles). 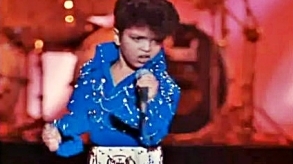 With Seymour Cassel, Bruno Mars (all of five years old) and Tony Shalhoub. 92 minute featherweight was directed by Andrew Bergman, and did well on release, earning $35,210,000. 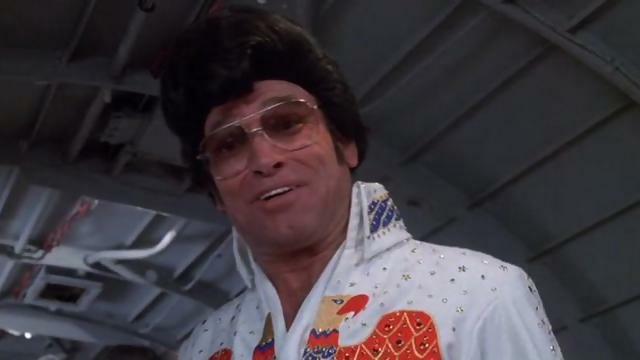 Beware the skydiving Elvi….